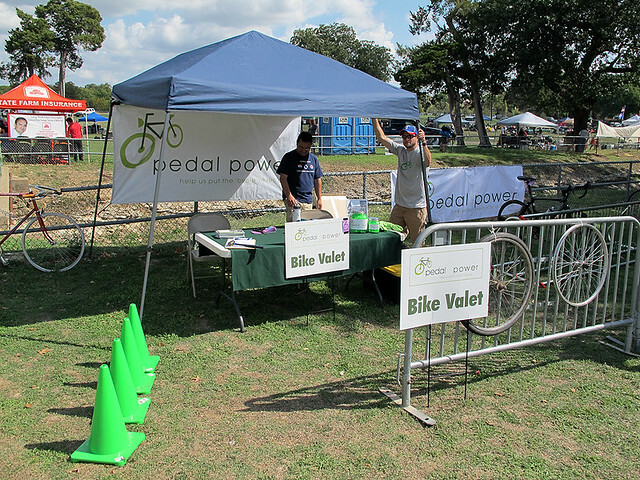 When we were at the Bike Friendly Oak Cliff, Richardson Bike Mart Cyclesomatic Bicycle Fair last weekend, we discovered a great bicycle charity called Pedal Power. Based out of Mansfield, Texas, Pedal Power is a division of Mansfield Bike Charity, a non-profit organization dedicated to refurbishing and redistributing used bikes. Their bikes benefit kids and adults in need of transportation to school and work, and provide increased access to health care. Bikes are distributed in the DFW area as well as Central/South America and Africa (more). We think this is a fantastic service, giving some folks a chance to give back to the community, while making it possible for others to get hold of a bicycle. More importantly, their focus is to get these bikes to people who actually need them for daily transportation and not just recreation. Check out their website and learn how you can help. They are looking for cash donations and in-kind donations. You can also run a bike drive or donate your used bike.